Golf pros, tennis pros, caddies, a kiddie pool? Of course! It's the Country Club, and there's always time for a cocktail! 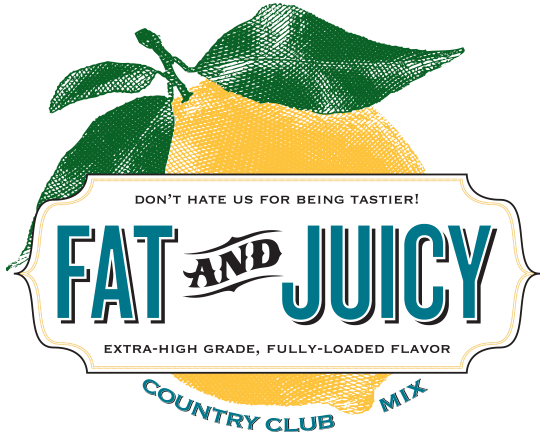 Fat & Juicy Country Club Mix improves upon the already stalwart Pro Shop classic of lemonade and sweet tea. Designed to be served on the rocks with vodka, we use 'fat and juicy' fresh squeezed lemons and our signature brewed sweet tea to deliver that back-nine boldness whenever you need it!